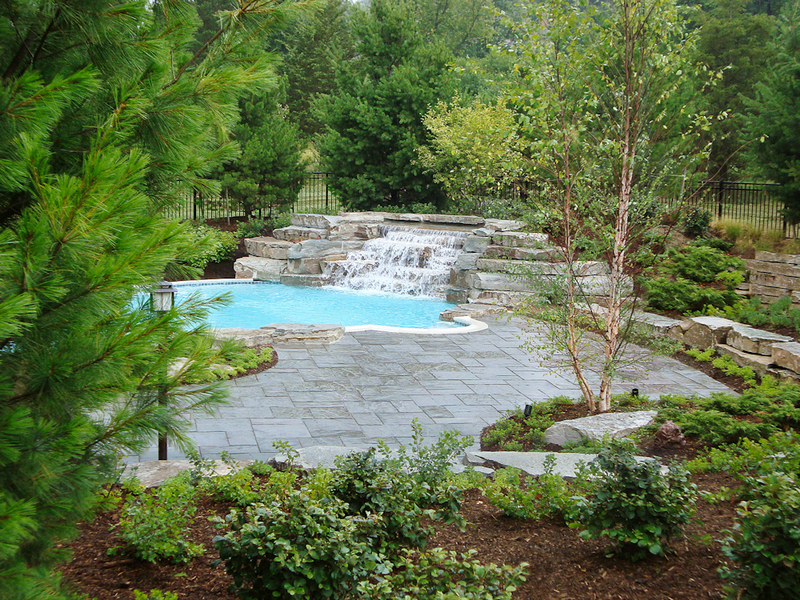 TERRAFIRMA offers a full-range of residential and commercial landscaping services. Working together with our clients, we utilize our extensive horticultural knowledge, effective problem solving skills, technical expertise in a variety of fields, creative design capabilities, and attention to detail to provide a product that exceeds your expectations. 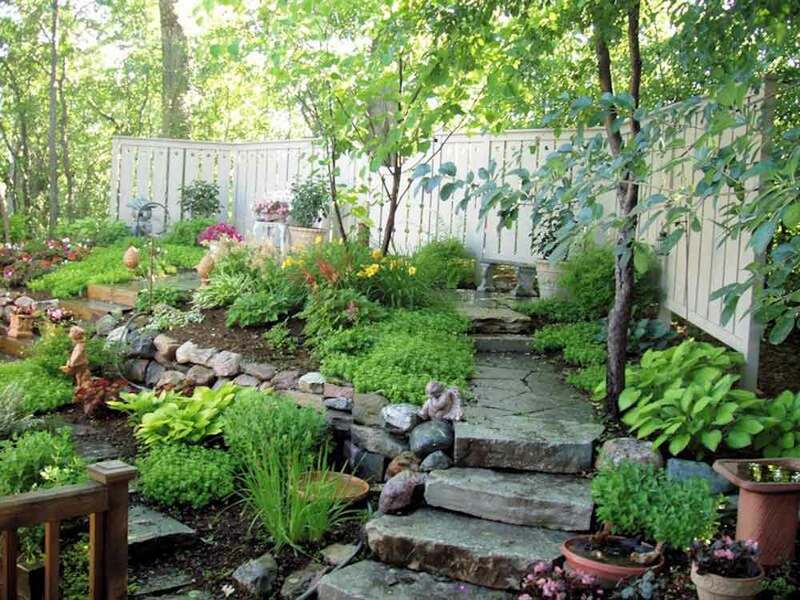 We have designed and installed beautiful, functional and sustainable landscapes throughout Ann Arbor and its surrounding communities for over 40 years. In commercial settings, professionally installed landscapes create an immediate appearance that represents a high level of excellence and easily maintained and sustainable through the different seasonal changes. Click on the tabs below to learn more about each of the specialty landscape development services we offer. A landscape design provides you with a visual aid that allows you to see how the various components of a landscaping project will be integrated. Designs also help you to “phase” a project in a way that meets your budgetary needs. Whether you have a new construction project, a landscape installation or home remodeling project, your design is the most important part of the process. TERRAFIRMA offers a team of registered landscape architects, architects, and professional engineers who are trained to take you through the design process of your project. This State licensing and registration ensures you are working with professionals with the highest degree of skill. 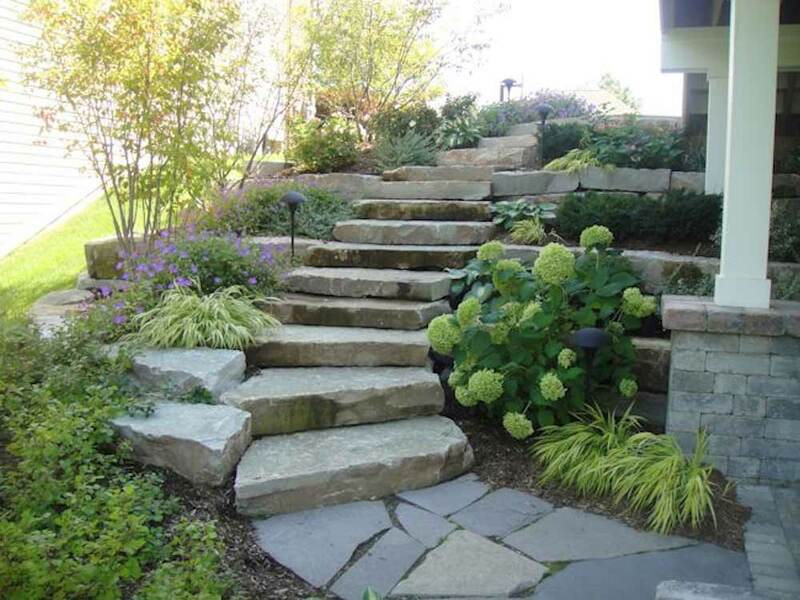 TERRAFIRMA has developed a variety of landscape designs for our clientele in greater Ann Arbor and has received numerous awards from the Michigan and Nursery Landscape Association (MNLA). TERRAFIRMA provides a wide range of specialty services that will allow you to do just about anything you need. Our staff of highly skilled tradesmen are licensed and certified to guarantee superior quality work. Furthermore, once the work is complete, our staff will restore your property to its original state without the need for other contractors. Beautiful landscaping is a direct result of TERRAFIRMA’s first-class field operations division with experienced supervisors who manage and coordinate your projects from beginning to end. They’ll be with you every step of the way, from initial layout of the project to the final walk-thru. Our management team makes every effort to ensure you will receive the highest quality of work on a timely basis. Lakefront landscape development makes use of existing natural features: stunning views of the surrounding lake, whether exhilarating early morning sunrises or colorful late day sunsets. Multi-level decks or stone terraces let your guests and you enjoy the visual sights and sounds off the lake with all its seasonal changes. 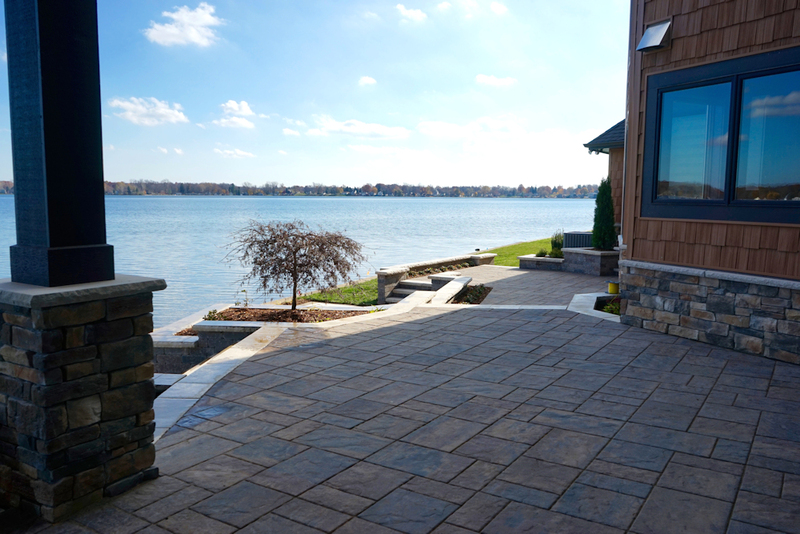 Stone walks and steps provide a beautiful and convenient approach to accessing the lake and adjacent boat docks. Ecologically chosen plants provide seasonal flowering and breathtaking color changes thru spring, summer, and fall. A great way to add another dimension and stay home to relax on the weekends is to add a custom inground pool or spa to your property. This can bring a new level of excitement to your property and introduce a deep level of relaxation. Both of these enhancements can be the ultimate way to de-stress after a long day’s work. By adding these key elements as part of an overall plan by one of TERRAFIRMA’s registered Landscape Architects will ensure that you will have a project you can be proud of for many years. Creating unique outdoor spaces is what landscaping is all about. Our custom designed water features can add beauty and tranquility to your yard. TERRAFIRMA can create all types of water features such as small meditation ponds, waterfalls, large ponds, streams, fountains and surface aerators. The use of outdoor spaces for entertaining large gatherings or small get-togethers is highly personal. 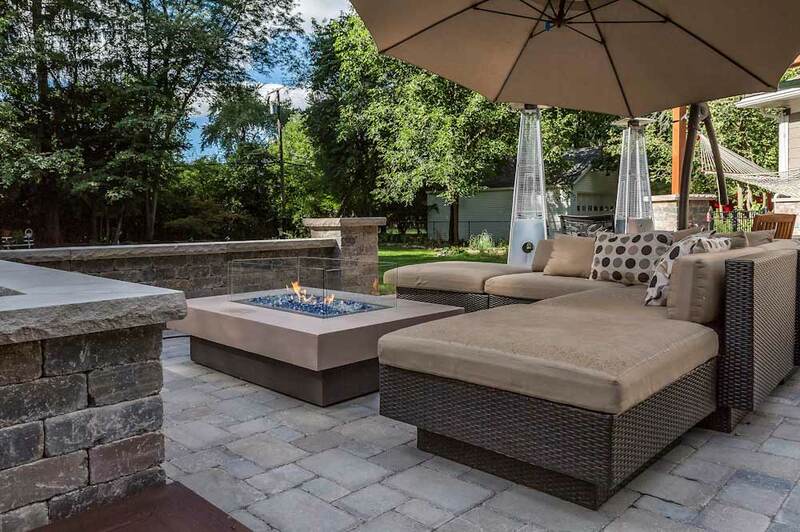 Sites can be highlighted with customizations, such as outdoor kitchens, fire pits, and well thought-out architectural features. Whatever your budget, we can assist you with your planning. Outdoor kitchens offer an extension of your home’s living space. Options can include ice makers, refrigerators, sinks, cabinets, and drawers, all built to endure the Michigan seasons. Outdoor kitchens are then finished in your choice of a wide selection of stone or brick, with complementary-colored granite counter tops, for that professional look. 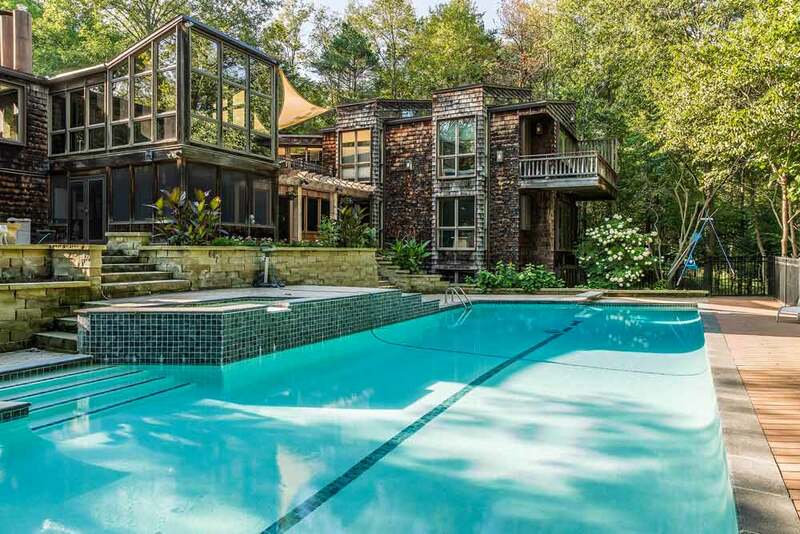 Water, statuary, exotic woods and stone create unique textures and an ambiance to enhance your imagination. Landscape lighting brings out the special beauty of the night garden. It illuminates the best features, shaping the view and the mood. Good lighting can make a space more intimate and comfortable or more spacious and attractive. It can provide a sense of security or a holiday spirit when reflected off the snow. TERRAFIRMA provides a high level of design and installation services, as well as, offering a wide array of outdoor fixtures for highlighting outdoor spaces and safeguarding entrances and house perimeters. Fixtures can be installed in many different positions to create the desired effect. The options are endless! 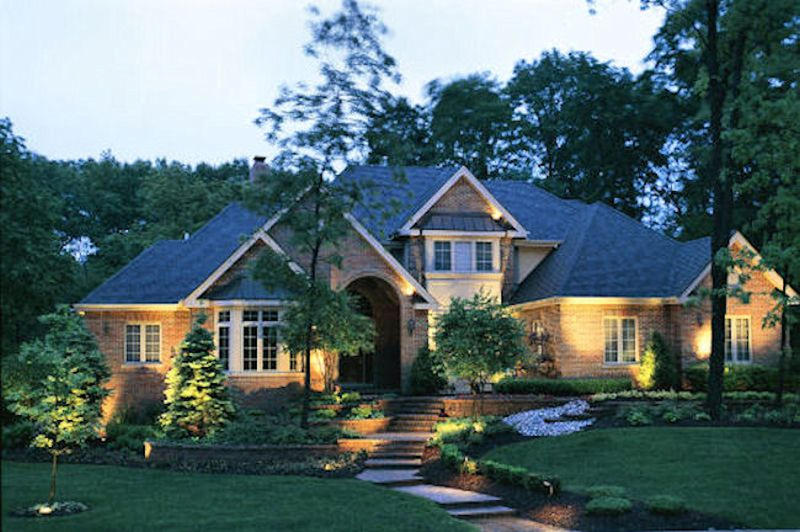 We also offer landscape lighting maintenance services including bulb replacement or cleaning and straightening of fixtures. Everyone wants a beautiful green lawn and blooming lush landscapes. TERRAFIRMA makes this possible with our experienced irrigation division. A properly designed lawn sprinkler system results in a healthy landscape and provides an efficient means of regulating water costs. We start with a sprinkler system design, prepared by our State-certified irrigation designers. Our skilled technicians use quality components, smart controllers, and the most advanced installation techniques. Your new sprinkler system will provide you with many years of dependable service. 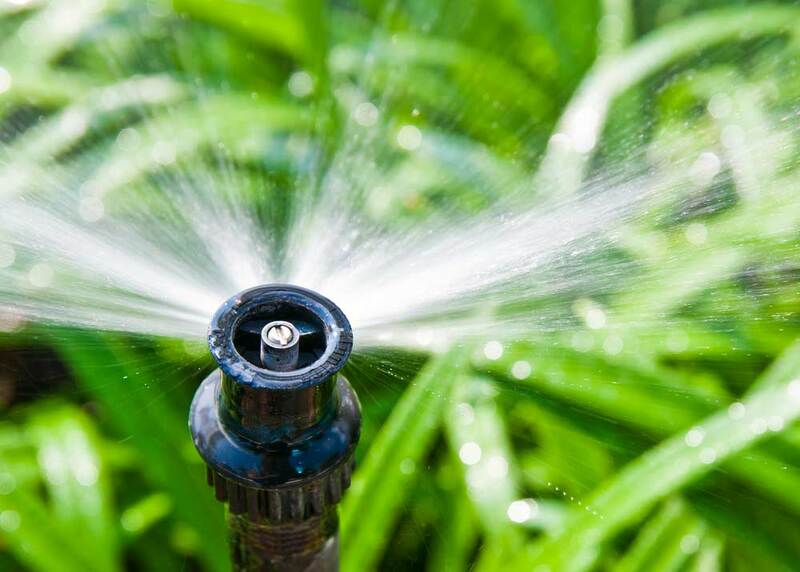 TERRAFIRMA’s irrigation experts are able to install and service all major manufacturers of irrigation components. In addition, we install both aeration systems or chemically treated rust inhibitors to minimize iron staining. Once your sprinkler system is up and running, TERRAFIRMA has a dependable service department to perform spring start-ups, winterizations and service calls for all of our service areas. Whether you are installing landscaping, sprinkler systems, brick patios, or simply hydro seeding your lawn, TERRAFIRMA will leave you with the knowledge to keep your yard looking beautiful for years to come. In addition to receiving a Landscape Maintenance Guide, you can receive details on: sprinkler system programming, irrigation maintenance or lawn maintenance. For our commercial clients, TERRAFIRMA offers landscape and snow maintenance services for shopping centers, office complexes and area businesses. Our company can provide year round service, keeping your property looking beautiful throughout every season while maintaining yearly budgets. Below are links to online resources that will answer many of the day-to-day questions you may have regarding the maintenance and upkeep of your lawn, trees, shrubs and beds. 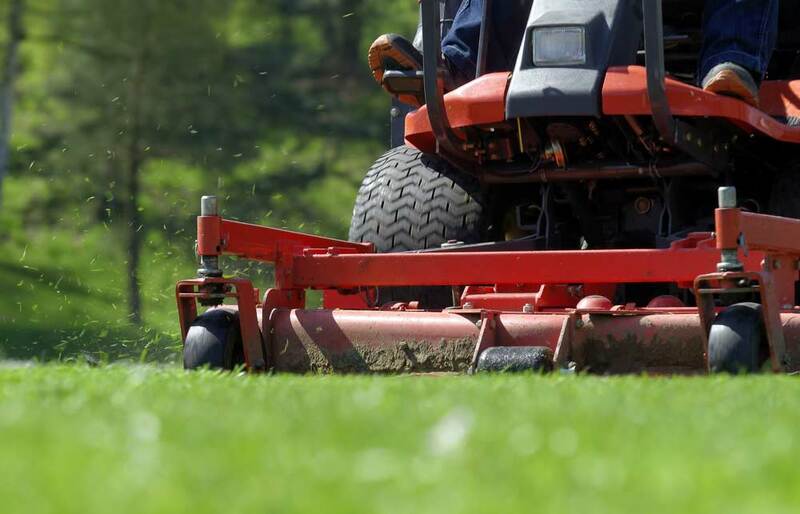 For our commercial clients, Terrafirma offers landscape and snow maintenance services for general contractors, business owners and local municipalities. Our company can provide year round service, keeping your property looking beautiful throughout every season while maintaining yearly budgets.